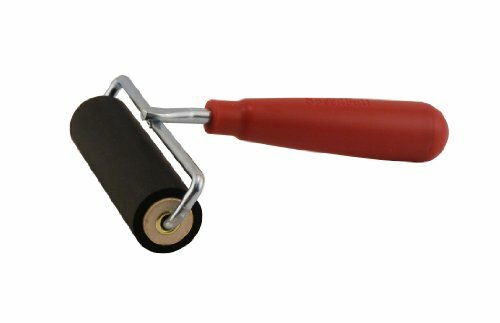 HARD RUBBER BRAYER - This synthetic rubber (80 durometer) brayer comes in handy for light carving and gluing applications. It's also ideal for rolling down prints and other graphic projects. COMFORTABLE HANDLE - The plastic handle on the rubber brayer is super comfortable and feels great in your hand. QUICK, EASY CLEAN - Clean the roller off with soap and warm water. Wipe clean with a paper towel or washcloth. MADE IN THE USA - The Speedball Deluxe Hard Rubber Brayer is proudly made in the USA.